All homes currently listed for sale in the zip code 92602 as of 04/19/2019 are shown below. You can change the search criteria at any time by pressing the 'Change Search' button below. "RARE OPPORTUNITY***BEAUTIFUL POOL HOME W/PANORAMIC SIGNIFICANT CITY LIGHTS VIEW & 100% OF PRIVACY AT ONE OF THE BEST BUILDER'S PREMIUM LOT***PRIDE OF OWNERSHIP***OVER $750K UPGRADES FEATURES W/ DESIGNER'S TOUCH EVERYWHERE***ENJOY AND EXPERIENCE AN EXCEPTIONAL LEVEL OF LIFESTYLE IN THE COVETED COMMUNITY OF THE GROVE OF ORCHARD HILLS WHICH IS WORLD-CLASS AMENITIES, INCLUDING 24/7 GUARD-GATED, PATROLLED SECURITY, TENNIS, SWIM, NUMEROUS PARKS & ACCESS TO HIKING TRAILS***MOST POPULAR PLAN 2 OF TREVI DESIGNED BY THE NEW HOME COMPANY***IT SHOWS BETTER THAN A MODEL HOME***HOME FEATURES ARE 5 BED+LOFT+OFFICE+5.5 BATH+CALIFORNIA ROOM+3 CAR ATTACHED GARAGE W/5,304 SF OF LIVING SPACE***WIDE OPEN LIVING SPACE OF GREAT ROOM, KITCHEN, DINING W/WIDE OPEN GLASS DOOR TO BACKYARD***DOWNSTAIRS JUNIOR MASTER SUITE W/HUGE SITTING AREA & PRIVATE ENTRANCE***BEAUTIFULLY LANDSCAPED DESIGNED FOR PRIVATE POOL & LUXURY OUTDOOR LIFE STYLE***MUST SEE***PLEASE CHECK 3D WALK THROUGH TOUR & VIDEO FOR MORE DETAIL LOOKS***"
"More Model-home than a actual model home!!! Exquisite and Contemporary, this beautiful home is situated on a magnificent lot with panoramic views from the City Lights of Irvine. 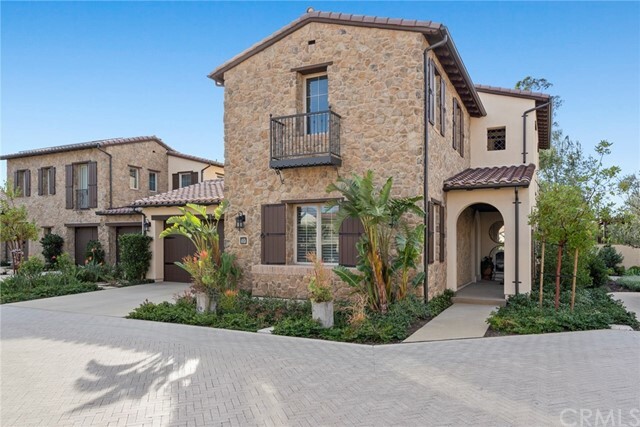 Located in the finest Guarded community of Irvine, Orchard Hills, this European-Inspired private courtyard at entry homes introduces gorgeous natural lighting, with two-story high ceilings as you enter, allowing you to live comfortably! Featuring stainless steel appliances, kitchen island, expansive cabinetry, and much more! Family/Living room opens up to sliding doors that allows you to enjoy some time to relax in the California Room as a private getaway; upgraded to the finest and premium landscaping, includes BBQ, Jacuzzi, private pool, sunken-seating area with a fire pit, which will all allow you to enjoy a resort and luxury living lifestyle. This home is perfectly located for privacy and walking distance to the award-winning Orchard Hills Elementary school, parks, and shopping center. Buyer is to verify the square footage, No Open House, PRIVATE SHOWING ONLY!" "Low Tax & HOA! Beautiful New Home! Enjoy gorgeous sunsets over Catalina Island, transitioning to sparkling night lights in the community of The Groves of Orchard Hills. Surrounded by Avocado Orchards & perfectly located minutes to Irvine Spectrum, Tustin Market Place, South Coast Plaza, freeway-close to 5, 261,133 & 405 and John Wayne Airport. 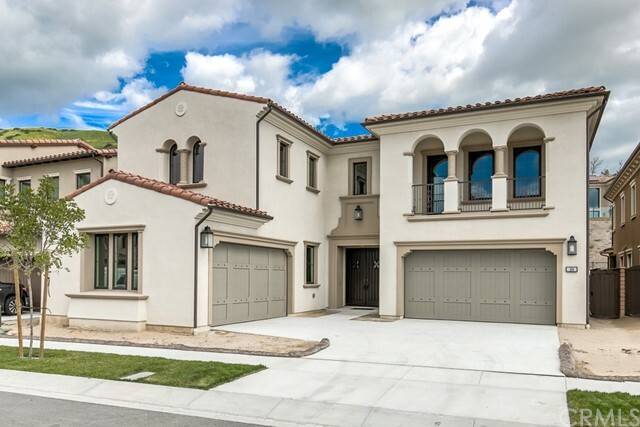 A 4-car garage Savona home includes many upgraded options! This house impresses with its double-door entry to the soaring foyer with dual curved staircase, and view of the stunning formal dining room and gorgeous wraparound luxury outdoor living space. The spacious gourmet kitchen features two large center islands, a separate breakfast bar for casual dining and entertaining, walk-in pantry and prep area, and ample counter and cabinet space, and is open to the grand Great Room with stunning fireplace and access to the luxury outdoor area through elaborate sliding glass doors. The exclusively private master bedroom is complete with a spacious deluxe retreat, large bright windows, 60 Linear See-Through Fireplace, a palatial walk-in closet, and spa-like master bath with dual-sink vanity, ample counter space, luxurious shower with seat, desirable linen closet, and private water closet. A versatile bonus room and convenient laundry room separate the master bedroom from the three secondary bedrooms. Also included are upgraded electrical (ask for details) and Wolf Appliances!" "Exclusive and prestigeous living in gated community. 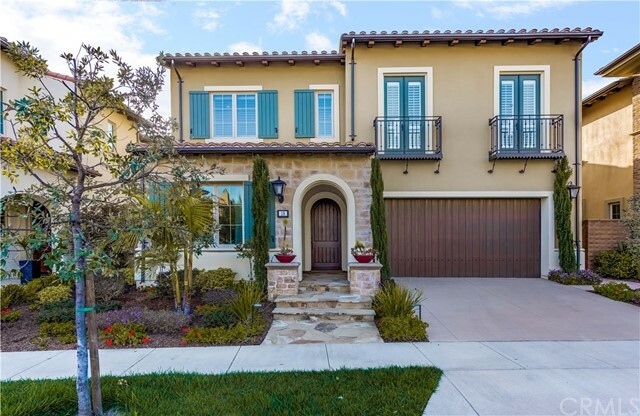 Situated in Orchard Hills Estate, this highly sought out Toll Brothers popular Savona Model residence has all the luxurious upgrades. This beautiful home is placed on a 10,822 sq.ft. lot and 5,939 sq. ft. of living indulgence with more than $750,000 in upgrades. As you enter the grand two-story foyer, dual staircase welcomes your presence leading you toward the expansive outdoor living and open concept of luxury living. Push back the 90 degree glass sliding pocket doors, turn on the built-in surrounds system speakers and enjoy the indoor and outdoor retreat living with 60 linear fireplace. Chef's gourmet kitchen is well equipped with Wolf 6 burners with double ovens, flush inset double Subzero refrigerator, Subzero wine cooler, extra Wolf oven, 2 Asko dishwashers and pot filler. Custom back splash and dual islands with quartzite natural stone counters water fall edge. Built-in, floor-to-ceiling lit glass fronted custom cabinetry. All bedrooms are ensuite with walk-in closet and bathroom. All bathrooms are upgraded with marbles and of finest stones. Security system is wired, 220v in garage and outdoor area for electric car and future spa or pool. Electrical outlets and junction boxes placed accordingly for future homeowners. Exclusive to Orhard Hills residents amenities includes: 24 hours staffed, gated entrance, tennis courts, Junior Olympic Pool, playground area, sport courts, outdoor bbq, and club house." "Low Tax & HOA! Beautiful New Home under construction, please see video & photos! Enjoy gorgeous sunsets over Catalina Island, transitioning to sparkling night lights in the community of The Groves of Orchard Hills. Surrounded by Avocado Orchards & perfectly located minutes to Irvine Spectrum, Tustin Market Place, South Coast Plaza, freeway-close to 5, 261,133 & 405 and John Wayne Airport. 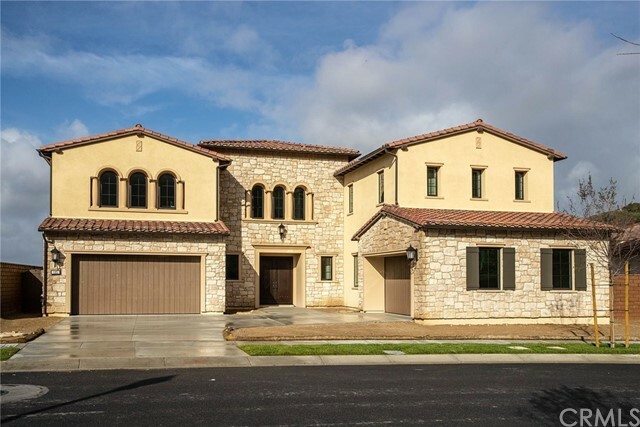 4-car garage Castello home includes many upgraded options! Two-story entrance with a dome ceilings, grand stair case & exceptionally priced w/5 bdrms & 5.5 bths & upgraded interior insulation. Large Bonus Room, Great Room, 60 Linear Fireplace, upgraded large Glass Pocket Doors leading out to backyard for indoor/outdoor living! Upgraded electrical (ask for details). Gourmet kitchen w/upgraded Genoa Style Cabinets & Hardware, Wolf Appliances, Large Island & nook leading out to the Luxury Outdoor Living Space. Master Suite w/2 large walk-in closets, Balcony w/glass railing to enjoy Sunset Views over Catalina Island! Customize home by selecting flooring, counter tops & bath tile/stone!" "Low Tax & HOA! Beautiful New Home! 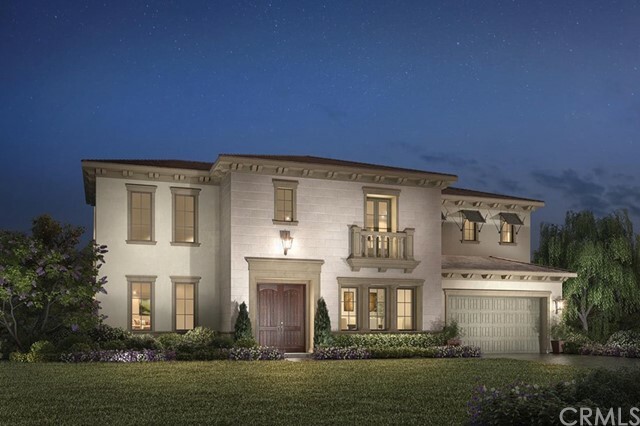 Enjoy Gorgeous sunsets over Catalina Island, transitioning to sparkly night lights in the community of The Groves (to be staff-gated in the future) of Orchard Hills. Surrounded by Avocado Orchards & perfectly located minutes to Irvine Spectrum, Tustin Market Place, South Coast Plaza, freeway-close to 5, 261,133 & 405 and John Wayne Airport. The Four car garage Savona home includes many upgraded options! Two-story entrance with a dome ceilings, grand stair case & exceptionally priced with five bedrooms and five and a half baths, upgraded interior insulation. Large Bonus Room, Great Room, 60 Linear Fireplace, upgraded large Glass Pocket Doors leading out to backyard for indoor/outdoor living! Upgraded electrical, intercom & theater surround sound package (ask for details). Gourmet kitchen with upgraded Genoa Style Cabinets & Hardware, Wolf Appliances, Large Island, nook leading out to the Luxury Outdoor Living Space. Master Suite with two large walk-in closets, Balcony with glass railing to enjoy Sunset Views over Catalina Island!" "Highly upgraded and never lived in! Premier cul-de-sac lot. Toll Brothers - Bella Vista Community - Tacara Model - Luxurious, Resort living nestled in an exclusive gated community at The Groves of Orchard Hills Estate. Over $750,000 in upgrades! The covered entry opens to an impressive two-story foyer, beautiful hardwood and limestone floors, and alluring wood baluster handrail dual iron staircase . 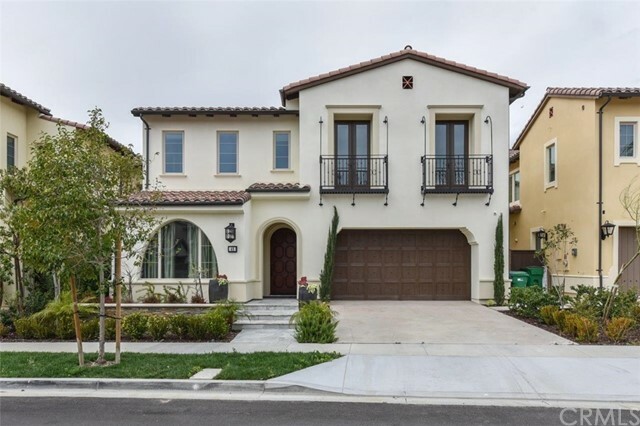 As you enter the grand foyer, ample of light infused open floor plan of this five bedroom home with stunning hardwood floors, crown moldings, central vacuum, and finest natural stones. A gourmet chef s kitchen opens to a spacious dining room area and expansive great room with elegant 60 linear fireplace featuring Wolf, Subzero, and Asko stainless steel appliances, two oversized natural stone water fall edge island, pot fillers, walk-in pantry and also a prep kitchen with Subzero refrigerator and Wolf stove and food warmer. All five bedrooms, including one on the main level are ensuite with dual shower head. The spacious master suite with fireplace has an adjoining retreat and deck. Enjoy the spa-like luxurious master bath with rain and dual shower heads, stand alone soaking tub, and dual vanities. Home wired for alarm system, tv, and speakers system indoor and outdoor. The amenities of this sought-after neighborhood include a 24 hour security, club house, 2 tennis courts, Junior Olympic pool, playground area, and sport courts. Must see!" "Low Tax & HOA! Beautiful New Home! Enjoy gorgeous sunsets over Catalina Island, transitioning to sparkling night lights in the community of The Groves of Orchard Hills. Surrounded by Avocado Orchards & perfectly located minutes to Irvine Spectrum, Tustin Market Place, South Coast Plaza, freeway-close to 5, 261,133 & 405 and John Wayne Airport. 3-car garage Acacia home includes many upgraded options! This house, with an inviting covered porch leads into a stunning foyer with curved staircase, affording views to the expansive Great Room beyond with access to the outdoor luxury living space. The adjacent stylishly well-appointed gourmet kitchen boasts a spacious breakfast nook with outdoor access, a huge center island and prep area with walk-in pantry, and a thoughtful pass-through access to the formal dining room with wine cellar. The second floor grand master bedroom is a completely secluded retreat, with two large walk-in closets and luxurious master bath with dual-sink vanity, luxe shower with seat, Roman tub, and private water closet. The three secondary bedrooms each feature full baths and ample closet space, and are accessed from a large, versatile bonus room perfect for more private entertaining. Additional highlights are a centrally-located laundry room, a desirable first floor bedroom, upgraded electrical (ask for details), and Wolf Appliances!" "Low Tax & HOA! Beautiful New Home. Enjoy gorgeous sunsets over Catalina Island, transitioning to sparkly night lights in the community of The Groves of Orchard Hills. Surrounded by Avocado Orchards & perfectly located minutes to Irvine Spectrum, Tustin Market Place, South Coast Plaza, freeway-close to 5, 261,133 & 405 and John Wayne Airport. 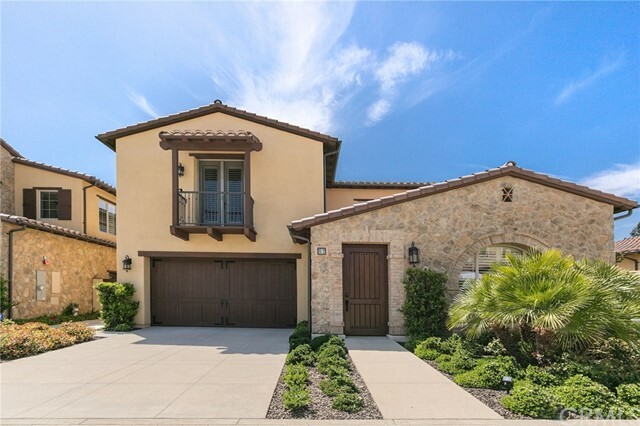 This four car garage Castello home includes many upgraded options! Two-story entrance with a dome ceilings, grand stair case & exceptionally priced with 5 bedrooms & 5.5 baths & upgraded interior insulation. Large Bonus Room, Great Room, 60 Linear Fireplace, upgraded large Glass Pocket Doors leading out to backyard for indoor/outdoor living! Upgraded electrical, intercom & theater surround sound package. Gourmet kitchen with upgraded Genoa Style Cabinets & Hardware, Wolf Appliances, Large Island, 2nd (Prep) Kitchen & nook leading out to the Luxury Outdoor Living Space. Master Suite with two large walk-in closets, Balcony with glass railing to enjoy Sunset Views over Catalina Island! Customize home by selecting flooring, counter tops & bath tile/stone!" "Low Tax & HOA! Beautiful New Home! Please see photos! Join the gorgeous community of The Groves of Orchard Hills. Surrounded by Avocado Orchards & perfectly located minutes to Irvine Spectrum, Tustin Market Place, South Coast Plaza, freeway-close to 5, 261,133 & 405 and John Wayne Airport. 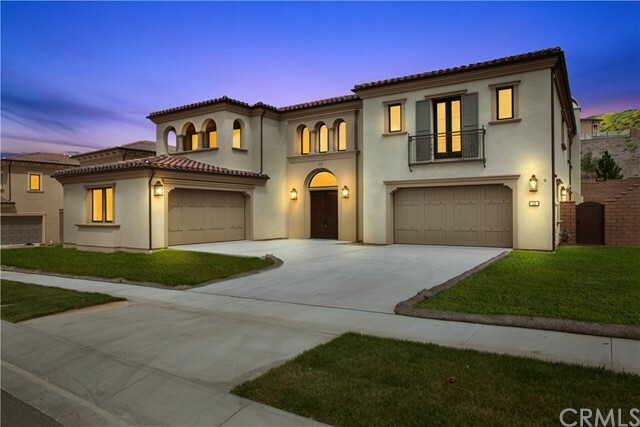 This 3 car garage Cielo's home includes many upgraded options! Great end of the cu-da-sac location with no neighboring home to the right . 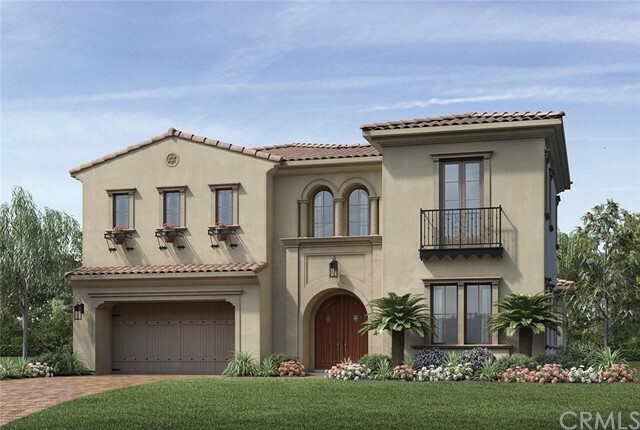 The Cielo has a beautiful double-door entry and spacious foyer flows into the remarkable two-story formal dining room. This home features a Open Floor Plan, Walk-in Pantry, Butler's Pantry, 2nd Floor master, Dining Room, Living Room, Study, courtyard which fills home with light, Desirable first-floor bedroom. Great for entertaining!" "** Nestled in rare open-ended cul-de-sac with Panoramic Views perched out to hills of avocado orchards, city lights, Fashion Island, Coastline, Catalina Island, this most demanding brand new Lusso estate of Bella Vista Collection by Toll Brothers, situates on high hill in guard-gated Groves at Orchard Hills community, picturesquely surrounded by gorgeous mountain train in nature's beauty, 5,282 sq.ft floor plan features 5 bedrooms, 5.5 baths, formal dining room, bonus room, California room, 4 car garage, moderately upgraded providing room for further upgrading by new owner's test and most COST EFFECTIVE WAY, resort-like amenities at two adjacent parks, award wining schools ** Best price of the floor plan in the community, await you to add your own personal touches. MUST SEE TO APPRECIATED!" 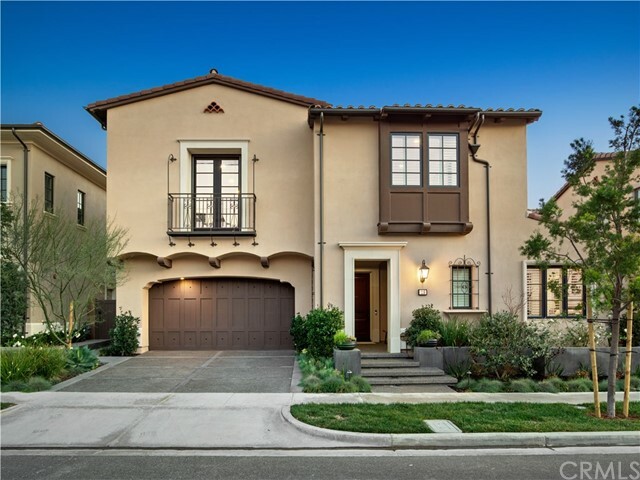 "Situated in the prestigious gated community of The Groves at Orchard Hills awaits this newly reimagined contemporary oasis.This stunning 5 bedroom, 5.5 bathroom posses 5,142 Sq.Ft. of living space featuring two master suites (1 downstairs and 1 upstairs), designed to focus on multi-generational living. A zen sanctuary, the Estate boasts luxurious high-end finishes in a tranquil environment. Spacious & open main level space which flows the living, dining & kitchen detailed by a fireplace & sliding doors for ultimate indoor/outdoor living experience. Chef's kitchen with stainless steel Wolf & Bosch appliances, Sub-Zero fridge, Island, and six-burner range. Features luxurious bedrooms with decadent baths, two laundry rooms, porcelain tiles, security system, wired surround sound & more. Five-star hotel-like landscaping with tranquil water feature & areas for dining/lounging al fresco. Community benefits include multiple pools, parks, hiking trails, basketball and tennis courts, and close proximity to award winning schools and fabulous Orchard Hills Shopping Center for local shopping and dining experiences." "Beautiful updated home located in the esteemed gated community of The Groves at Orchard Hills. This home is located in a prime area within the neighborhood on a corner lot in a cul-de-sac with no home directly in front. There is a greenbelt located in front where residents can take a stroll throughout the community on the Orchard Hills Trail and also located within walking distance to Orchard Hills Elementary. Upon entering the home, you are greeted with a welcoming formal entry way that flows seamlessly into an open floor plan. The updated kitchen contains a large island, updated cabinets, luxury stainless steel Wolf appliances and an additional prep kitchen which is perfect for the aspiring chef and/or entertaining. The kitchen leads out to the formal dining area with an exquisite chandelier and spacious living room which contains an abundance of natural light and fireplace. The home includes a main floor master bedroom suite with large walk in closet and master bath with direct access to the backyard. The aesthetically pleasing staircase leads to the upstairs where you have three large bedrooms, each with their own baths, besides the master bedroom which also includes a large walk in closet and master bath with separate tub and walk-in shower. 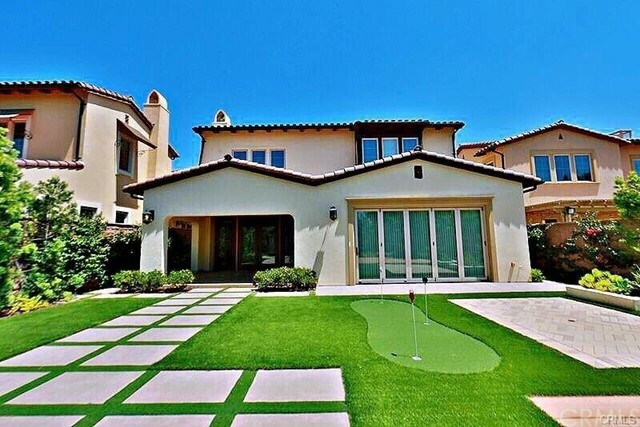 The backyard includes a putting green for the golfing enthusiast. Resort like amenities within the community include a Junior Olympic pool, spa, clubhouse, basketball and tennis courts." "Nestled in the Groves at Orchard Hills, this home features an exceptional floor plan. Large, private, CORNER LOT. The great room welcomes guests with spacious feel. The area is well appointed with a fireplace in the living room and pocket style doors that leads you outside for easy entertaining. The home also has impeccable, gourmet kitchen with upgraded cabinetry, 3 ovens, built-in fridge, walk-in pantry, and a large eating area with more pocket style doors. Truly an entertainers home with a nicely equipped PREP KITCHEN. Unique floor plan offers options for MULTI-GEN living. This main floor suite is complete with a living area, dual closets, ensuite bathroom and direct access to the outside. Upstairs, 3 additional bedrooms including the Master and bonus room. Master bath evokes luxury with his/hers walk-in closet, oversized tub, separate shower. Secondary bedrooms each boast double doors out to a balcony, ensuite bathroom and walk in closets. Upgrades throughout the home including gorgeous flooring, upgraded cabinets, window treatments, crown molding and so much more. The lot offers a unique and useful layout for outdoor entertaining. The built in BBQ and amenities is great from outdoor dining. The Groves offers multiple pools, parks, hiking and biking trails, basketball and tennis courts, with close proximity to the fabulous Orchard Hills Shopping Center for local shopping and dining experiences. Home is walking distance to award winning Orchard Hills K-8 Grade School." "Motivated Seller!!! Most Popular open floorplan in the Guard gated community of Groves at Orchard Hills. Finest upgrades, designer touches, custom built-ins, bright & open throughout. Ideally situated on a highly desirable corner lot. Featured with Den, Master Retreat & upgraded Conservatory. Wide-plank hardwood flooring and grand ceilings throughout, private guest suite. Formal dining room w/vaulted ceiling, custom built-ins w/wine refrigerator and beverage refrigerator. Generous Great room w/impressive exposed wood beam celling & cozy fireplace. Gourmet kitchen is well-appointed w/crisp white Shaker cabinets, oversized natural stone Island w/breakfast bar, designer backsplash, top of the line stainless steel appliances, dual convection ovens, walk-in pantry & more. Conservatory w/custom built-ins for kids study & playroom. Bi-fold accordion doors from Great Room & Conservatory open to resort style backyard w/built-in BBQ, sitting area, open grass area, side yard w/vegetable garden. Second floor features Master suite w/retreat, luxurious Master bathroom & walk-in closet. Three additional large size bedrooms, two bathrooms, laundry room, surround sound, alarm, central vacuum cleaner & Tankless Water Heater. Exclusive enclave of the Groves Association Amenities include Multi-Purpose Room, Junior Olympic Pool, Spa, Wading Pool, Tot Lot, Court, Tennis Courts and many more... SQFT & Size are estimated and to be verified by Buyer!" 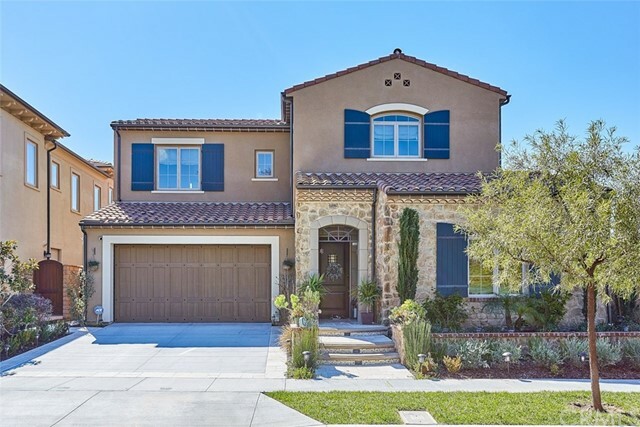 "Set in a secluded enclave of the Orchard Hills gated community is a bright and welcoming view-lot home, filled with top-of-the-line upgrades including complete solar power, Viking/Subzero appliances, and a low-maintenance backyard. When you first step into the home, your eyes are immediately drawn to the panoramic views. Enjoy the breathtaking sunset while sipping a glass of wine by the fireplace in the California room or in the comfort of your living room. Take in the twinkling city light views from the large windows in the upstairs master bedroom retreat or large den. This residence also features a coveted first floor bedroom suite, a study, and a large dining room, perfect for family gatherings. Upgraded at it s finest, no expense was spared; Caesar-stone quartz counter-top in kitchen counters, island, prep kitchen, and master bathroom tub and shower, Solar Panels, Porcelain tiles in California Room & backyard, epoxy floor garage, water softener, built-in surround sound speaker in living room and California room, AND MUCH MORE! Walking distance to the award-winning Orchard Hills Elementary school, parks, and shopping center. Welcome home! Buyer is to verify the square footage." "This is one of your last opportunities to live in the popular Lucca neighborhood behind the gates of The Groves at Orchard Hills! Nestled on a quiet street, behind secluded gates, this brand new home has the ability to be personalized with options and upgrades! Glass stacking doors at the Great Room and Den open out to an expansive backyard. Beautiful designer selected countertop and and tile floors included. Multiple flex spaces include a Music Room, expanded great room and Bonus Room along with a 2 car garage which allows for plenty of storage. This home is located walking distance to the highly rated Orchard Hills School and The Resort which features many private neighborhood amenities. Lucca residents will enjoy an elevated way of life that includes resort-inspired amenities such as Pools, Jacuzzis, tennis, clubhouse, tot lots, basketball courts, BBQs, community fireplaces, beautiful parks and scenic trails that encourage a lifestyle of recreation, leisure and connectivity." 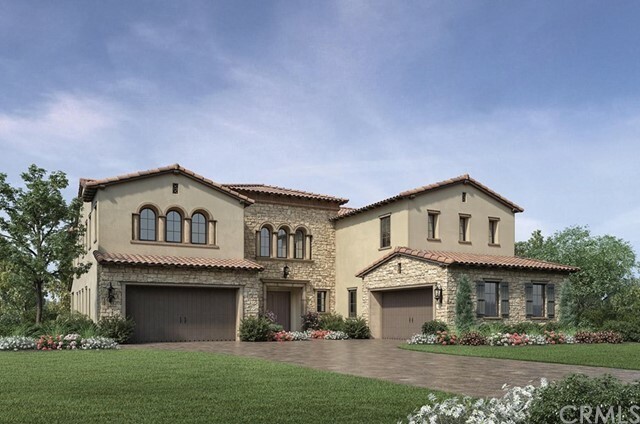 "Spectacular Huntington Collection plan 4 with Great inside location sitting on a large lot in Prestigious gated community of Northpark. This spacious home offers 5 bedrooms including a main floor bedroom, plus an office/game room/music room/guest casita with built-ins separate from the house, plus a big retreat/office off master bedroom. One of the upstairs guest bedrooms is a suite with its own full bathroom and small office area with built-ins. Beautiful upgrades include newer tastefully installed flooring in family room, formal living room, main floor bedroom and all throughout the second floor, wood plantation shutters in family room, dining room, master bedroom and master bathroom, recessed lighting throughout, ceiling fans, mirrored wardrobes, built-in speakers, built-in cabinet in dining room, entertainment center in family room, Built-in cabinets in the garage, water softener for the house and drinking water in the kitchen, and Individual laundry room with sink and cabinets. Master bedroom with big retreat/office area, large walk-in closet and vanity in master bathroom. Gourmet kitchen with built-in refrigerator, stainless steel appliances, center island with granite countertop, double oven, and butler pantry with built-in wine rack/cabinet. Enjoy the courtyard with fountain and the big backyard with grassy area, fire pit, patio cover and BBQ counter with sink." "This Tuscan residence is located in the highly desirable gated community of Orchard Hills, has one of the Big Lot. This move-in ready home is fully designer upgraded. 4 bedrooms and 4.5 baths with main floor bedroom suite and upstairs Loft room, all bedrooms with private baths and expansive master bedroom with huge walk in closet. Elegant hardwood floors, crown molding, wood shutters. 2nd Separate Chef's Kitchen with full glass backsplash, Open and pristine Chef's Kitchen comes complete with custom pendant lighting, marble counters and kitchen island with seating, full stone backsplash, upgraded cabinetry, premium stainless steel appliance package, including Wolf convection steam oven, high-efficiency venting system, and built-in sub-zero refrigerator and wine refrigerator! Opulent master bath includes dual vanities with upgraded stone countertops, and immaculate stone floor and shower walls! Exterior features private interior courtyard, covered loggia with multi-slide door that extends the living space and tranquil water fountain with built-in BBQ! Solar included. Elegant resort style HOA amenities including a pool, spa, tennis, basketball, children s play area, community room/kitchen. Walking distance to Settlers Park, Orchard Hills Middle School and Orchard Hills shopping center." "Gorgeous Tuscan estate home located behind the gates of the The Groves in the luxury community of Orchard Hills! Owners spared no expense pouring in over 200K in prime UPGRADES and landscaping! Premium lot with NO HOMES behind or in front. As you enter the formal foyer, you will be greeted by the spectacular OPEN FLOORPLAN with soaring ceilings, rich wood flooring and dramatic beams adorning the formal dining and living area. Chef-inspired kitchen features upgraded European cabinetry, custom Silestone countertops, professional grade stainless steel appliances including a THERMADOR cooking range and Refrigerator, and a huge island overlooking the Great Room, Formal Dining, and Optional Conservatory. 2 sets of accordion doors open the walls completely to the lush backyard for contemporary INDOOR/OUTDOOR ENTERTAINING. Luxurious master suite and expansive spa-like bath boasts dual walk-in custom closets, while both the spacious secondary bedrooms feature en suite bathrooms, large closets, and plantation shutters. Additional features include convenient UPSTAIRS LAUNDRY with sink, versatile SPACIOUS BONUS ROOM, and MAIN FLOOR BEDROOM (currently converted to a Den). GREEN features include 6 owned Solar Panels, pre-wired for electric car charging station, and tankless water heater. This model-like home is a rare opportunity at this price! Walking distance to California Distinguished Orchard Hills School and Shopping Center. Enjoy the amazing views in the luxurious Orchard Hills!" 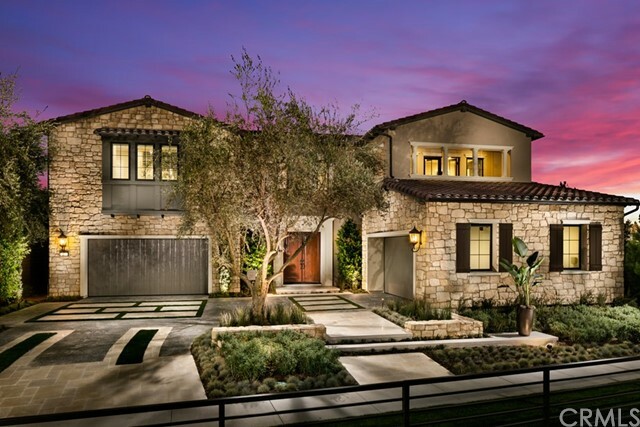 "Residing in Irvine Pacific's newest village, this brand new Ravello home boasts a premiere Irvine location, surrounded by pristine open space, at the highest point of Reserve at Orchard Hills. This expansive Plan 3 home features Santa Barbara architecture, 4 Bedrooms and 5 Bathrooms, spread across 3,455 Square Feet of thoughtful living space. The home offers dramatic volume ceilings and a California Great Room with panoramic sliding doors, built-in refrigerator and freezer, upgraded cabinetry throughout home, LED recessed lighting throughout, whole-house insulation and many more features. 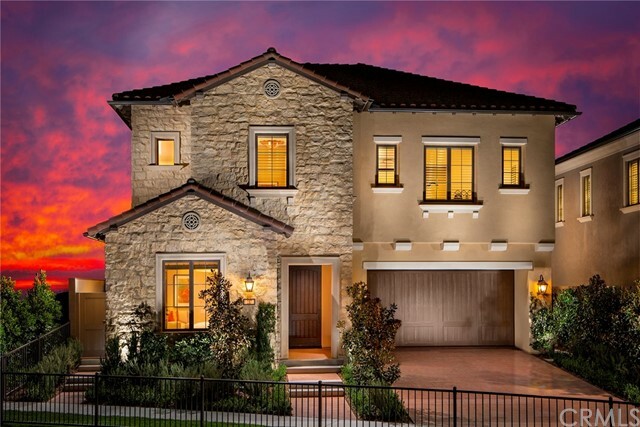 Reserve at Orchard Hills features resort-style recreation, acclaimed Irvine Unified Schools - including the exceptional Northwood High School, in addition to convenient shopping and dining at nearby Orchard Hills Shopping Center." 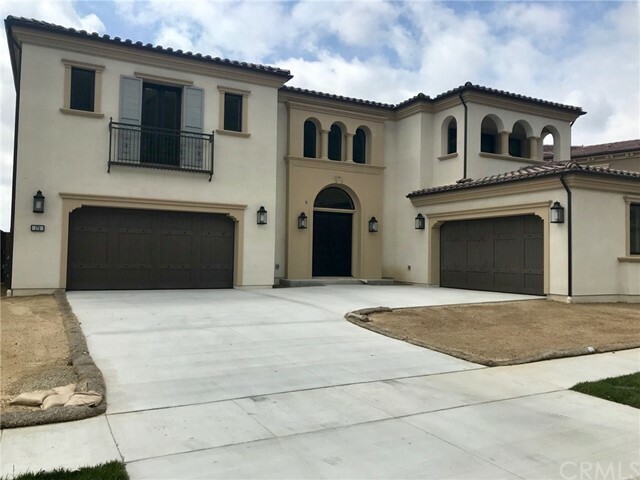 "This is the most popular and gorgeous UPGRADED Vicenza plan II with large lot located in prestigious gated community of the Groves at Orchard Hills neighborhood. Open floor plan features 4 bedrooms, 4.5 bathrooms, Den, upgraded Conservatory room. Wide-plank wood flooring through the whole house. First floor has private guest (in-law) suite. Gourmet chef's kitchen with an oversize island and custom build-in SUB-ZERO refrigerator, top of the line stainless steel appliances, dual convective ovens and a large walk-in pantry and more. The expansive living room with cozy fireplace and wall mount TV & sound system. Second floor features Lavish Master Suite with large bathroom, soaking tub, double size stand shower and custom organizer system walk-in closet. Den is good for entertaining center or kids playroom Two additional large size bedrooms, it both came with it's own bathroom, large laundry room with plenty of cabinets. Professional window drops and premier shade system throughout the entire home, Alarm system, surround sound, Tank-less water heater, Solar panel, Electric vehicle build-in charger in 3 car tandem garage. Gorgeous back yard features open artificial grass area with a mini golf green, wood paved area & nature stone stylish wall fountain. Side wall covered with beautiful Pink bougainvillea... Exclusive the Groves Association Amenities include Club House, Pool, Spa, basketball &Tennis Courts and hiking & biking trails. Walking distance to Orchard Hills school (K-8)." 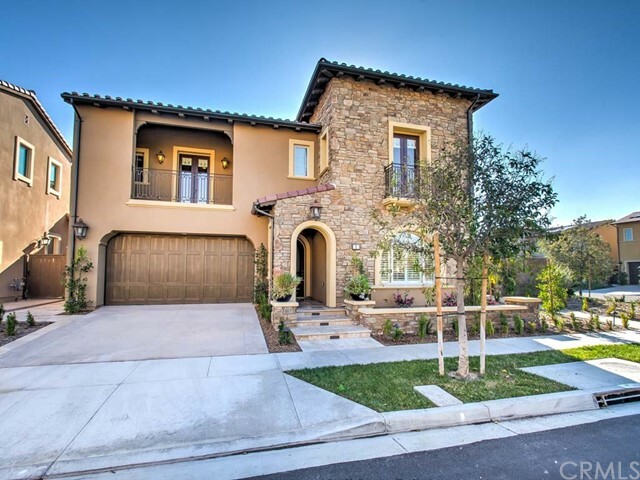 "The luxurious two story home with 4 bedrooms, 4.5 bathrooms at Orchard Hills . Expansive Great Room with fireplace perfect for entertaining. One bedroom downstairs, main bedroom and individual laundry room upstairs. The well-equipped kitchen is highlighted by a large center island, fancy appliances. With premium interior upgrades and exquisite landscaping." "NEWLY UPGRADED! Rare opportunity to own one of the most private lots in The Groves at Orchard Hills. This La Vita Residence 3 sits on a 5,763 lot with no neighbors behind and a glass wall looking into the groves. Master bedroom downstairs with an en-suite bathroom and another secondary bedroom with bath as well. Upstairs you ll find a large loft and two generous secondary bedrooms with en-suite baths and walk-in closets. Entrance leads to a kitchen and Great Room that expands into an Outdoor California Room with travertine tile. A prep kitchen/laundry room, features expansive cabinetry, beverage refrigerator, and second sink. The main gourmet kitchen features a large kitchen island, built-in refrigerator, 6-burner stove top with pot filler and ovens. The kitchen opens up to a two-story dining room and sliding doors that open up into the California Room. The California Room over looks a gorgeous water feature. Backyard offers cozy vibes with 2 aesthetic fireplaces. There is plenty of additional space for an outdoor dining area and lounging. Enjoy your backyard as a private getaway with so much privacy, a truly unique lot. 2-car attached garage with driveway. This community features resort-like amenities including multiple pools, parks, hiking and biking trails, basketball and tennis courts, with close proximity to the fabulous Orchard Hills Shopping Center for local shopping and dining experiences. Walking distance to award winning Orchard Kills K-8."